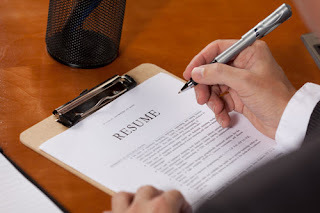 The best translator resume tips start with the basics that encompass any resume. Your resume must look professional. Have someone else thorough proofread your resume from the beginning. If you make any changes as you build your skills, have someone proofread after the changes. It is important for the resume to reflect your level of writing skills as well as present your translation skills. Most resumes should not be more than a single page long. When you get twenty years of experience, then you might want to add a second page. However, those new to the industry need to keep things focused. Another tip is that you can take two approaches to writing your resume. Most people either have the experience that shows their skills or the training to do the same. If you have professional experience that bests shows your skill set that is what you start with. If you have training or certification that best shows your skill set, you need to start with that instead. When you lead off with your strong suit, you make a stronger impression than if you leave it for the last. You do not want a potential employer or client to have to wade down to see you have several years of experience after they read you have little formal training. A third resume tip is to focus your resume on the job you want. Many people move into translation work after working in a particular industry for years. For example, you might have been a medical office manager. Your background in medical office management will not get you a job in translating. However, if you performed translation while working as a medical office manager, you can emphasize that aspect. If something doesn't relate to translation in some way, it needs to disappear from your resume. They do not need to know that you play the ukulele and sing polka songs. Make sure your resume focuses on the target job, not just a generic one. If you are going for a job in translating medical documents, you do not want to send the one that shows how good you are with translating legal documents. Further, emphasize this by customizing your cover letter to the job as well. It is very important to make sure both the resume and cover letter look very professional, whether you send them by regular mail or email. Potential employers will throw a sloppy resume in the trash faster than anything else will. You might have the skills they need, but they will not see it when it goes to the garbage.